Americans see hoaxes and plots everywhere: from climate change to immunizations to almost anything having to do with Hillary Clinton. But why? Is the constant stream of conspiracy theories a side effect of social media? Are conspiracy theories a product of the increasing polarization of politics? Or have they always been around and for some reason we just notice them more now? We can start to answer the last question: in their modern form, they have been around for at least two hundred years. The United States was less than ten years old when New England religious leaders sounded the alarm about the Illuminati’s plans to destroy the republic. And this was only the beginning. In 1831, the Anti-Masonic Party held the first national political convention. Perhaps predictably, speeches there were peppered with conspiratorial rhetoric about Freemasonry. Before inventing the telegraph, Samuel Morse gained fame by warning that the Austrian emperor had orchestrated a conspiracy to undermine the world’s greatest Protestant republic by flooding America with Catholics. By the end of the 19th century, free-silver populists were portraying their economic plight as the result of a British (and often Jewish) banker conspiracy. By the end of World War I, conspiracy theories began to have more staying power. The lasting menace of Bolshevism-socialism-Communism contributed to a certain constancy of conspiratorial thinking. At the same time, the idea of the “International Jew” (largely the creation of the fraudulent Protocols of the Learned Elders of Zion) gave rise to a series of antisemitic conspiracy theories that have still not run their course. 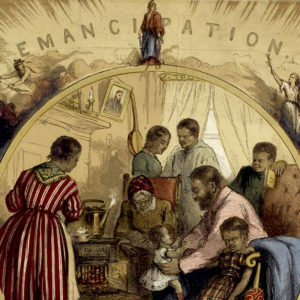 America’s turn toward international involvement powered conspiracy theories from isolationists and “America Firsters.” The growing presence of the federal government—Wilsonian progressivism, FDR’s New Deal, Lyndon Johnson’s Great Society—fueled another array of conspiracy theories: federal support of civil rights was said to be part of a conspiracy against the white race; federal reorganization schemes were said to be part of the conspiracy to destroy the states. And, of course, the Kennedy and King assassinations contributed their share of conspiracy theories. But the term “conspiracy theory” has been so poorly defined and so loosely used as to become useless, if not actually misleading. So, yes, there have been conspiracy theories all along. But there is also something new that has transformed the conspiratorial landscape: conspiracism—a mental framework, a belief system, a worldview that leads people to look for conspiracies, to anticipate them, to link them together into a grander overarching conspiracy. Conspiracism has been building for some time, and by now it appears to have emerged as the belief system of the 21st century. Its adherents range from people who are beside themselves with conspiratorial rage, such as radio-show host Alex Jones, down to everyday people who are reluctant to have their children immunized because they accept vaguely conspiracist claims about vaccines. While many analysts believe that social media have accelerated conspiracism’s growth, the reason for its prominence is still an open question. Even more prosaically, while the introduction of bar codes in 1974 barely qualifies as an event, religious conspiracists continue to warn that “those black lines on every product you buy!” signal a satanic conspiracy. There need not even be an event to inspire conspiracist thinking. The contrails of jet aircraft crisscrossed the skies for decades as a nonevent before conspiracists began to claim that they were really “chemtrails” secretly laced with “pathogens, chemicals, and fungi” by the government to poison or stupefy the citizenry. In 1965, historian Richard Hofstadter wrote that the “distinguishing thing about the paranoid style is not that its exponents see conspiracies here and there in history, but that they regard a ‘vast’ or ‘gigantic’ conspiracy as the motive force in historical events.” It may not be necessary to go quite this far. People can compartmentalize their thinking and hold conflicting ideas associated with different belief systems. Nevertheless, conspiracism as a belief system is generally very broad and influences its adherents’ thinking across many subjects. Conspiracism is also distinctive as a belief system for two reasons. First, it is inherently negative. Conspiracists fear and oppose the conspiracies they envision, because those conspiracies are invariably aimed at destroying their way of life. Hence, the struggle against the unending stream of Illuminati, Zionists, forces of Satan (or Lucifer), mind controllers, and the global elite ensconced in its many secret societies. Second, conspiracism as a belief system lends itself to obsessiveness. Conspiracists seem much more aware of their belief system than most people are, leading them to consciously apply it to events on a daily basis. The manifestation of conspiracism is, of course, the conspiracy theory. In principle, the idea of conspiracy theory seems straightforward, and most people think that they would recognize one without difficulty. But the term “conspiracy theory” has been so poorly defined and so loosely used as to become useless, if not actually misleading. Some research has confounded conspiratorial beliefs with beliefs that are merely unconventional or about offbeat topics such as the prophecies of Nostradamus or the curse of Tutankhamen. Using such commonplace observations about racism in society as evidence for conspiracist thinking can only undermine research. More recently, a much noted 2013 survey conflated non-conspiratorial questions about politics with ones about space aliens, Bigfoot, and whether Paul McCartney died in the 1960s. Using such commonplace observations about racism in society as evidence for conspiracist thinking can only undermine research. In the last few years, some researchers have criticized loose or misleading definitions of conspiracy theory and made serious efforts to come up with good measures of conspiracy ideation. Such academic and professional efforts have not filtered into the popular press or the internet, however, and the 2016 presidential campaign brought about a resurgence of the problem. A story about Republican complaints over the possibility of the Federal Elections Commission’s opening the presidential debates to third party candidates was headlined as a “GOP conspiracy.” A sermon about religious persecution given by presidential hopeful Ben Carson to a congregation of his fellow Seventh Day Adventists was depicted as his “Satanic Sabbath persecution conspiracy.” AlterNet created “The Definitive Donald Trump Conspiracy Guide,” a messy list of 58 simple accusations (e.g., that Bill Ayers had ghostwritten Obama’s memoir), speculations (Trump’s 2012 musing about Obama’s strategy for reelection: “Looks like he’ll have to start a major war or conflict to win. Don’t put it past him.”), and random claims (27–35 percent of Muslims “would go to war” with the United States). That Trump believes these things may be important, but lumping them all together under a conspiracy theory heading only clouds the issue. Conspiracism is about 100 years old. The Protocols of the Learned Elders of Zion began to be circulated outside Russia during the Bolshevik Revolution, and very shortly thereafter Nesta Webster published her first conspiratorial books. Over the decades, conspiracism evolved and branched out into different versions, from the secret government/hidden hand to mind-controlling psychopolitics to shape-shifting human-reptilian hybrids posing as our political leaders. During the last few years, conspiracism has become so embedded in the popular mind that the once-menacing Illuminati has become a punchline. Websites filled with photographs of celebrities making triangular hand gestures or of crackpots with photoshopped tinfoil hats define the weird end of conspiracy theory for most people. The more serious side of conspiracism in the 21st century was first defined by the 9/11 attacks and the obsessive “truther” conspiracism that followed them. By the time that burst of conspiracism faded, the election of Barack Obama brought the racist right-wing conspiracism that lurked beneath the surface to prominence in American politics. Despite the panoply of different conspiracy theories that arose between Nesta Webster and 9/11, none has wholly disappeared. In part, this is because the technologies of social media have made it easy to rekindle and spread any conspiracy theory. The dominant strand of conspiracism—the continuum from secret government to hidden hand to one-worlder to new world order—continues to be widely propagated, with perhaps an infinite number of subtle variations. Texe Marrs, for example, promotes a basic Zionist conspiracy with roots in the Kabbalah. Herbert G. Dorsey III recycled Webster’s thesis with particular emphasis on the Knights Templar. Miguel Bruno Duarte’s “shadow government” is primarily the work of the Illuminati, with Communist and Freemasonic support. Deanna Spingola focuses solely on the Rothschilds. David Allen Rivera provides an apocalyptic end-times interpretation. And Doc Marquis offers an occult version in which the Protocols were created by the Illuminati to discredit the Jews while the Illuminati establish Satan as “their Masonic Christ.” There are many more. There is hardly a topic that contemporary conspiracists have allowed to disappear. Ellen McClay devoted her 2008 talk at the National Conference on Private Property Rights to the rise of UNESCO. Fundamentalist David Stewart, in his attack on evolution, brings back the specter of G. Brock Chisholm, Canadian psychiatrist and head of the World Health Organization until 1953. Conspiracy theorist Jennifer Lake was still fighting the polio vaccine conspiracy in 2008; Charlotte Iserbyt extolled the merits of the 1953 Reece Committee hearings on philanthropic foundations in a 2011 Alex Jones interview. Long-time John Birch Society member Alan Stang explained once again that Franklin Roosevelt “arranged” the attack on Pearl Harbor. And Glenn Beck generated some blowback by promoting Elizabeth Dilling’s 1934 Red Network as well as the works of the intensely antisemitic Eustace Mullins. For Christopher Jon Bjerknes, the entire Zionist conspiracy centers on Albert Einstein. Conspiracists from across the decades have been cited and their ideas recycled. Charlotte Iserbyt “suspects” that she owns the only surviving copy of the American Historical Association’s 1934 Report of the Commission on Social Studies, which lays out the “plan for a Socialist America.” (She does not.) Both Miguel Duarte and David Rivera bring back the same misinterpretation of Carroll Quigley’s work that led Quigley to sue right-wing conspiracists in the 1960s. And Jüri Lina buys Major General Count Cherep-Spiridovich’s claim that German chancellor Bismarck was aware of the Jewish hidden hand conspiracy to assassinate Lincoln and tried to thwart it. Other conspiracies have survived as well, although some now have seemingly few followers. Conspiracy theories having to do with health, medicine, and nutrition held their own or even gathered momentum in the early years of the century. Conspiratorial ideas about HIV/AIDS, for example, showed no sign of fading away, and every subsequent epidemic, right up to the Zika virus, has generated suspicions ranging from Big Pharma’s profiting on death to new world order population control. Similarly, the conspiracism that led to widespread suspicion of vaccines (primarily measles, mumps, and rubella vaccination, but with spillover effects) continues to have a great many casual adherents. Other health threats have had their ups and downs. The conspiratorial end of the opposition to genetically modified foods seems to be holding its own. The view that chemtrails exist and are part of the plan to kill off or stupefy millions of people is riding high at present. But the cancer threat posed by electromagnetic fields near power lines and even fear of the mind-controlling High Frequency Active Auroral Research Program (HAARP) have faded considerably. 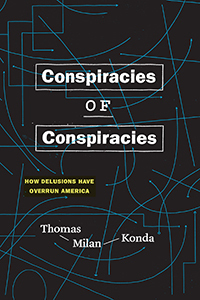 Reprinted with permission from Conspiracies of Conspiracies: How Delusions Have Overrun America, by Thomas Milan Konda, published by the University of Chicago Press. Copyright © 2019 by the University of Chicago Press. All rights reserved. Thomas Milan Konda is emeritus professor of political science at SUNY Plattsburgh.